What a year it’s turning out to be! There are days when I can’t believe my luck. Here I am, black coffee at my side (of course! ), a packet of chocolate buttons on standby, a new book deal with WHSmith to sell my forthcoming novel, Another Glass of Champagne, in its airport, railway station, and service station shops, and two new novel contracts on the starting slopes- and, to add the cherry to my virtual cupcake, I have been invited to sell my part modern/part medieval novel, Romancing Robin Hood at this years celebration of all things ‘Robin of Sherwood’ – The Hooded Man II event. 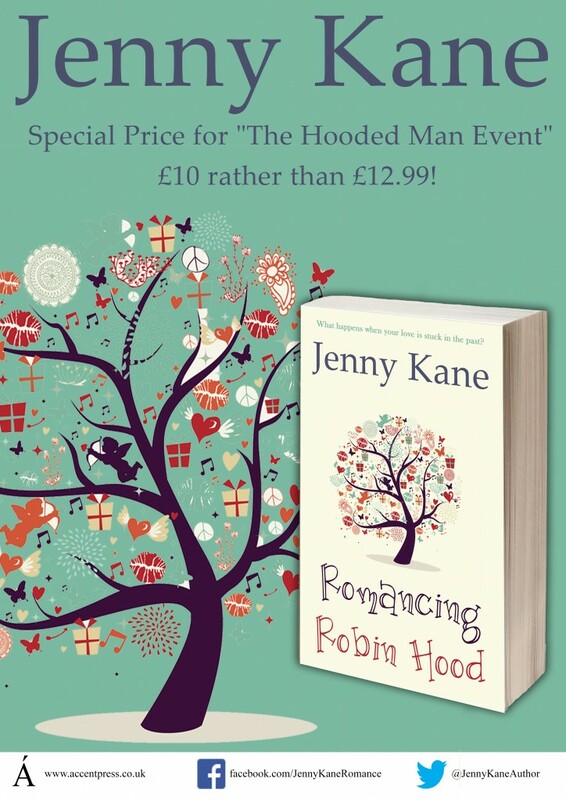 I am looking forward to attending The Hooded Man event at Chepstow on 30th April- 1st May. I’m also a bit nervous!! This is a massive event, with people travelling from all over the world to attend- and I’ll be on my own with a pile of books!! However- I am SO excited. What an opportunity! Maybe- at last- I’ll be able to thank, in person, the people who set my life on its path of historical research and fiction! 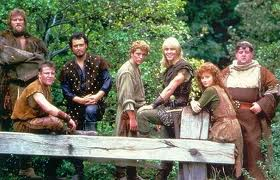 And what better day than this- 2nd April 2016- to announce that I’ll be attending this RoS event- as it was on this very day, at 5.35pm, 30 years ago, that Jason Connery first took his longbow as Robin Hood, in the opening episode of series three- Hernes Son (Part1) Where do the years go?! I look forward to seeing some of you at the event!! Good luck, Jenny. I hope you smash it. Will be attending the con myself; my second – was at the first Hooded Man Convention in 2014. Looking forward to the event. Hope you enjoy it too. Strangely enough I read your book at the beginning of this year and really loved it, I will also be at the hooded man convention and will say hello we are a friendly bunch of people really. I read your book on my kindle, I read most books that way now, I will have to have a look at the others that you have written, I also dabble in creative writing to, any tips would be most grateful. Best of luck with the book and the hooded man.